Throughout its over one hundred years of existence, our family home witnessed the lives of many generations. Just a stone’s throw away from the European Quarter (20 min by foot from Schuman), equipped with a diverse and colourful history, this beautiful period house (Maison de Maître) is embarking on a new adventure in 2013. 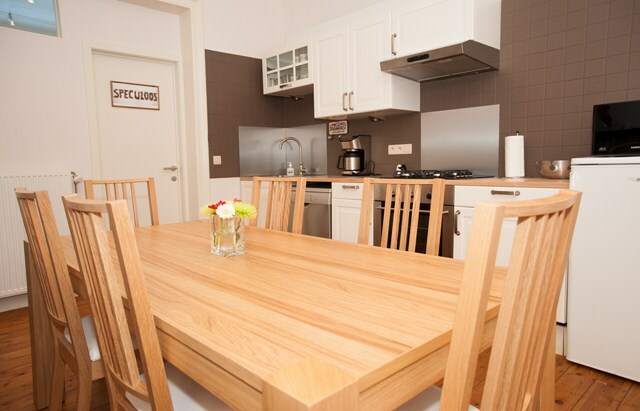 * their comfort – the renovation and remodelling of the rooms was finished in January 2013. All rooms have their own bathroom with shower and private toilets. Don’t hesitate to contact us for further inquiries or reservations. We look forward to welcoming you to Sophie’s Rooms! It is ultimately the human dimension that prompted us to open our doors to travelers. We would like to make your stay as comfortable as possible in an informal and family-style athmosphere, which you will not find in large hotels. Hosting you at Sophie’s Rooms is a privilege for us and we will serve you breakfast whenever possible.